Gaining the ability to express and enjoy music for the rest of our lives !! Attention : - ** venues for the meetings and piano band/groups rehearsals will be held at OliveLand Studio and other special halls for the concerts. 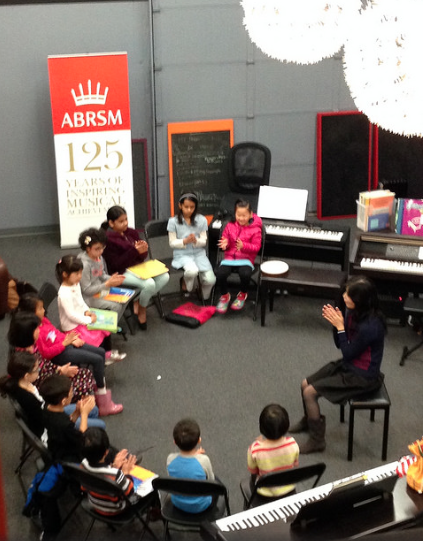 In addition to the private lessons, our Musicales meetings focus on ABRSM Aural Training for the ABRSM International exam. We also encourage the young pianists to share their music, attain the proper performance manner as well as develop the rhythmic and melodic senses which are so crucial for a well-rounded musician in the real world. For students who are preparing for the Grade senior grades piano who needs extra Aural training by joining the Advance 'Auralia' classes set 8 - 10 weeks before the ABRSM Practical Exam. Averaging around 2 series of classes each year. New round starts mid Sept and mid Feb each year. for students who have at least passed Grade 4 or 5 piano, all the way to Grade 6 & 7 materials. The aural training in this class is intense and exam focused. Content: repeating melodic patterns, sight singing, detecting cadances, understanding all musical period and styles. Group discussion of how to tackle different parts of testings. Group musical sharing and supports. for students who have passed international ABRSM test. Appromx. Grade 3 to Grade 4 levels and some older beginners.Content: Stengthening music rudiments concepts in Aural, Detecting melodic and rhythmic difference, group rehearsals and performances, fun games in rhythms, Kodaly singing and contents related to ABRSM international testing syllabus. 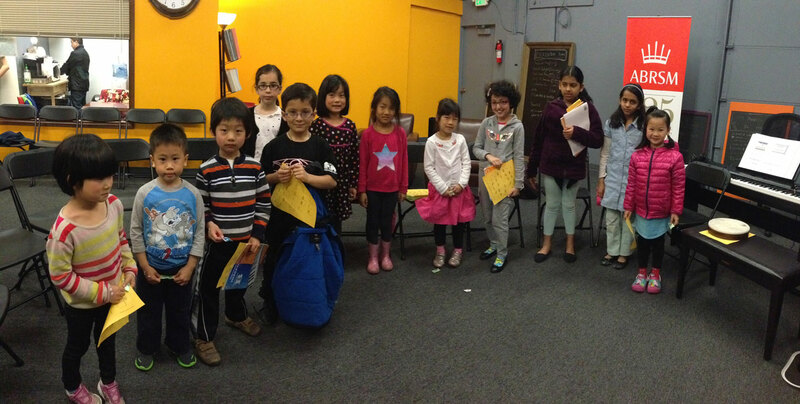 fresh piano students who are starting to preparing for Grade 1 exam and all BEGINNERS. Content: Learning music rudiments concepts in Aural, Detecting melodic and rhythmic difference, group rehearsals and performances, fun games in rhythms, Kodaly singing and introduction to all aspects of Aural for piano players. For students who could not attend a certain class on some weeks, they are encouraged to attend the next class. *If you missed a class, please pick up your activity sheet at the studio. Trombone Special aural training AURALIA classes See 'current classes' page for updates. 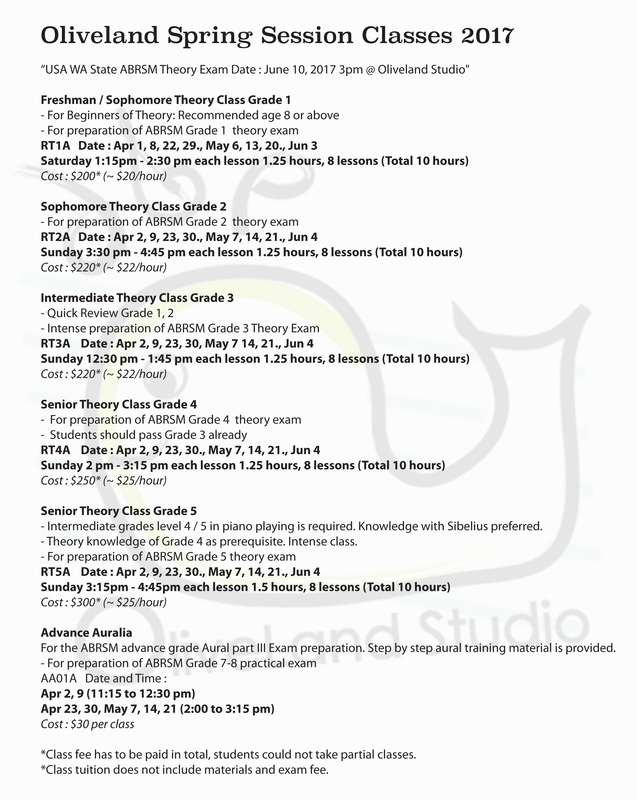 **Junior & Advance Theory Classes: (ABRSM Grades) - See 'current classes' page for new classes.